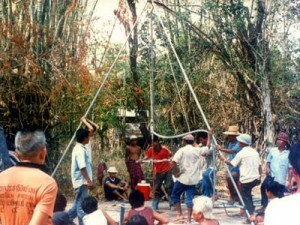 PAT began in the early 1980s, when a group of young Thai engineers formed an NGO to develop and adapt suitable technologies for the development of rural communities in Thailand. This NGO was funded by both national and international development agencies committed to improve life conditions in deprived areas of Thailand. At the beginning, small windmills, manual water pumps for reservoirs and shallows, micro-hydro-power projects and other devices for diverse agriculture uses have been produced. 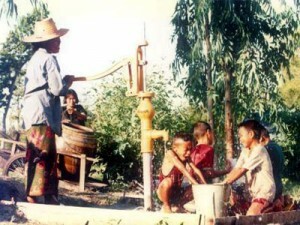 At this time, drought in Thailand was a nationwide concern and lack of water was a widespread problem in many villages. 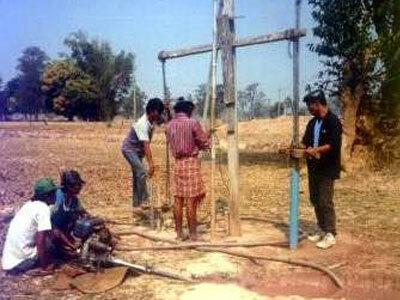 Typically people spent more than a month digging the ground with very basic wooden drills to obtain water. This encouraged us to design and develop innovative technology to solve this challenging situation. 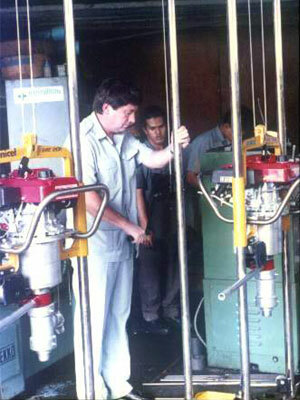 We developed and improved the basic wooden drills, changed to a steel construction, added some tools for better performance to create a hand drilling system that whilst improving production and proving popular it did not work in all areas. 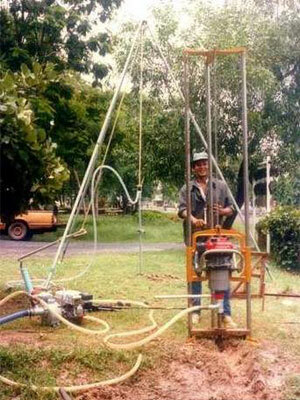 The Rotadrill-101 was conceived, as a simple rotary drilling machine partly engine driven partly hand powered, strong, powerful and easily portable to remote sites. 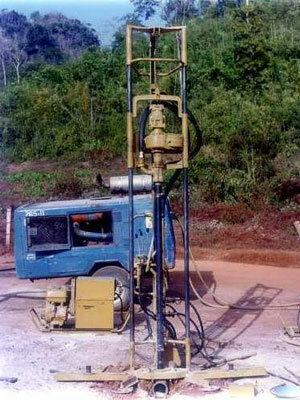 In 1986 with the success of the drilling operations with the Rotadrill-101, we decided to establish PAT (Promotion of Appropriate Technology Co., Ltd.) We began as a small manufacturer devoted to provide the best-in-the-class products and services for use in rural areas in Thailand. Steadily our customer base expanded, first regionally and then globally to the position now where we have products in over 30 countries around the globe. Our current range extends broadly across 5 models of drill and a comprehensive range of accessories to meet every requirement for water well construction. 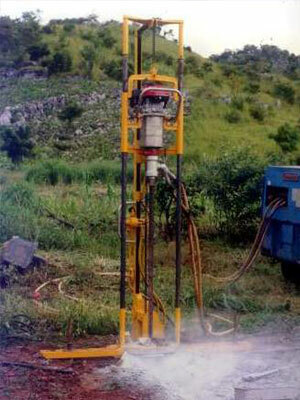 In 1999, strong regional demand saw the establishment of PAT Africa Drilling in Nairobi, Kenya. This was a initially local stocklist and sales office for PAT equipment, accessories and spare parts. In addition now it provides “hands on” training and technical support to customers in the region and has expanded into the provision of management skills. These range from 'turn key' well drilling projects through to the provision of key personnel for specific NGO clients. 2004 PAT Africa drilling has been completely re-organised to PAT-Drill Africa now sold off its contracting side of the business and re-opening a brand new office in Nairobi. The focus of PATdrill Africa is to supply after sales service to the entire East Africa region through the development and development of African technical support staff. AT created an office in Nairobi Kenya this is now established as PAT-Drill Africa. This regional base serves East Africa comprises of a sales & service office, spare parts store, workshop and training centre. In 2017 As an alternate service to contacting PAT head office we have a network of independent dealers - who are personally available in their locations KENYA, UGANDA, SOUTH SUDAN to assist customers with sales & service issues relating to PAT equipment and operational supplies. PAT adheres to a direct sales policy of selling to clients only through its own offices to ensure clients get equipment at very affordable and competitive ‘factory gate’ prices backed up by directly managed after sales service.